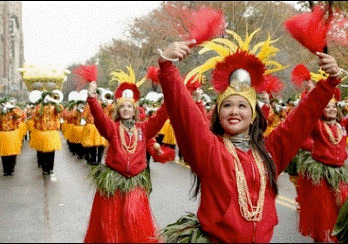 EPIC Foundation is proud to serve as the fiscal sponsor for the Hawai`i All-State Marching Band (HASMB) that represented the State of Hawai`i in the 2011 Macy's Thanksgiving Day Parade. HASMB is under the leadership of Kamehameha Schools' Band Director Emeritus, John Riggle, and is comprised of student-musicians from the islands of Hawai`i, Kaua`i, Maui, and O`ahu. 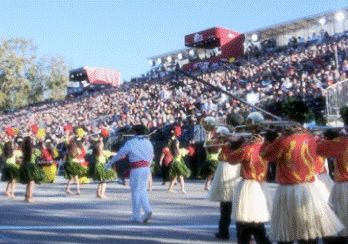 Their appearances have included the 2003 and 2009 Tournament of Roses Parade and the 2003 and 2011 Macy's Thanksgiving Day Parade. As fiscal sponsor, EPIC is accepting tax-deductible charitable contributions and gifts to help send our students to the 135th Tournament of Roses Parade "Dreams Comer True" in 2014. To make a tax-deductible donation, please contact us at 955-6100.